Can a local community, governed by a system of customary law, fish in a marine protected area without a permit? In a landmark decision, the Supreme Court of Appeal (SCA) has said it can. The decision is a victory for people living in the Dwesa-Cwebe Nature Reserve in the Eastern Cape who rely on fishing. In December 2000, the Minister of Environmental Affairs declared the sea adjacent to the Dwesa-Cwebe Nature Reserve a marine protected area. The declaration meant that no fishing was allowed. Despite this declaration, local communities continued to fish in the area according to their customs and practices. 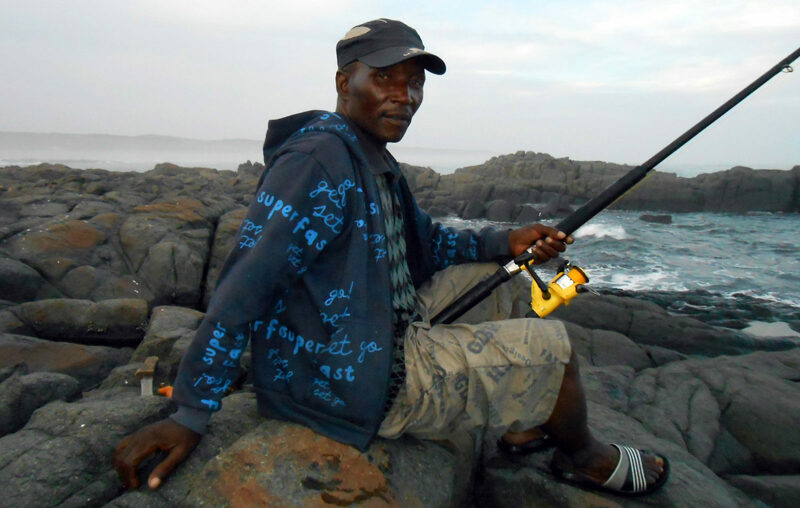 In September 2010, David Gongqose and a few other community members were arrested and charged with attempting to fish in a marine protected area without permission. They were also charged with three other related offences. The community members admitted that they had not applied for a permit to fish in the area. But they argued that their conduct was lawful because they had a customary right to fish there. They also argued that this right had not been removed by environmental laws. A Elliotdale magistrate convicted all of them on the first charge only and acquitted them of the other three charges. They were sentenced to a fine of R500 or 30 days in prison, suspended for one year on condition that they did not commit the same offence again. The community members appealed this decision in the High Court in Mthatha. The court agreed that the community members had customary fishing rights. But, it said, these rights had been amended by environmental legislation. So in order to exercise their fishing rights, the community had to follow the legislation. This would mean that community members had to apply to the minister for an exemption. They had not done so. For this reason, the court upheld the convictions. The community members appealedthis decision in the SCA. The court said the primary legal issue was whether the community members could rely on a customary fishing right as a defence against criminal liability for fishing in a marine protected area without a permit. The SCA said that a history of colonial dispossession had deprived the community of access to the land, marine and forest resources in the area. There was evidence that the community had lived in this area for at least 300 years. However, colonial and apartheid-era policies had given preference to white farmers and families at the expense of this black community. For this reason, in 1996, the community lodged a claim for the restitution of its land. In 2001, it was awarded a land claim in a settlement agreement. The agreement maintained the reserve as a protected conservation area. However, the community was given access to the marine and forest resources as long as this was sustainable. Residents would also enjoy benefits from tourism, employment opportunities, and be allowed to make input into management policies. However, the agreement excluded the marine protected area. Did the community exercise customary fishing rights? The SCA pointed out that customary law is an independent source of law which is subject only to the Constitution and legislation that deals specifically with it. Also, customary law can be a source of rights outside of the common law and other legislation. The court found that there was “extensive evidence” of a customary law system governing the Dwesa-Cwebe community for centuries. This system regulated all aspects of life, including access to and use of marine, land and forest resources. Knowledge of this system was passed from generation to generation. Also, fishing practices had to be done sustainably, taking into account preservation of the natural environment. In this way, the community ensured that there would be enough fish for each generation. For this reason, the court found that the community members had exercised customary fishing rights. Did existing environmental laws remove customary fishing rights? The SCA used examples from other jurisdictions. For example, in Canada, the rule is that aboriginal rights may only be amended by legislation if there is a clear and plain intention to remove an aboriginal (customary) right. Similarly, in Australia, a court found that legislation which prevented the taking of fauna without permission did not apply to aboriginal rights. It found instead that aboriginal people were allowed to take fauna for cultural or religious purposes without a permit. The court found that in South Africa, similarly to these other jurisdictions, customary laws had existed long before colonisation. These laws were recognised by the Constitution and enabled the right to practice one’s culture. Also, international law requires states to protect indigenous people’s access to resources. The court, therefore, found that in South Africa, customary law is subject only to the Constitution and legislation which specifically deals with it. This means that a customary right can only be removed by legislation that amends customary law explicitly. The court then considered whether the existing environmental laws regulated or amended customary fishing rights. The court found that the legislation allowed “subsistence fishers” to fish in marine protected areas. The court found however that the reference to “subsistence fishers” was not the same thing as regulating customary rights. This is because customary rights are concerned not only with consumption for personal use but also with the use of resources for customary rituals and ancestral ceremonies. The court, therefore, found that the environmental laws in place were silent on customary rights and had no effect on them. The SCA also rejected the high court’s assertion that enabling customary fishing rights would compromise sustainable development. Instead the SCA found that since it was close to these resources, the community had the greatest interest in conserving them. Also, there was clear evidence that customary fishing practices regulated marine resources sustainably. The community’s right to practice its culture and the right of others to a healthy environment were complimentary. So the court set aside the convictions and sentences of the community members.